Mufasa is a deceased lion character from the Disney animated movie The Lion King. In the movie, he was killed by another lion named Scar. 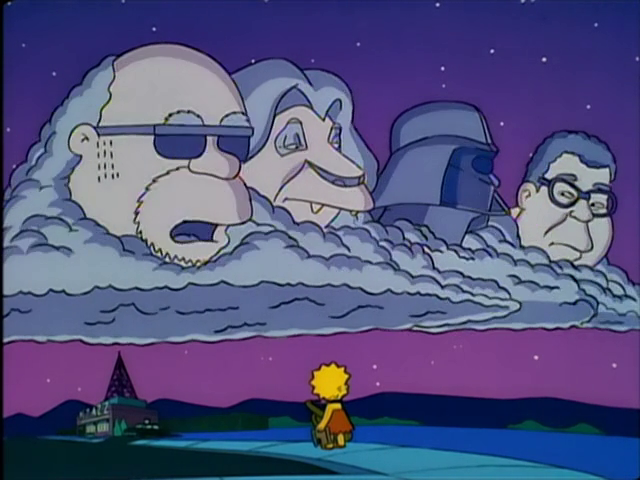 Mufasa appeared in the clouds when Lisa saw Bleeding Gums Murphy in them, along with Darth Vader and James Earl Jones. Mufasa is a character from the film The Lion King. His voice in the movie was provided by James Earl Jones, but by Harry Shearer in the episode. Modified on April 3, 2016, at 15:36.